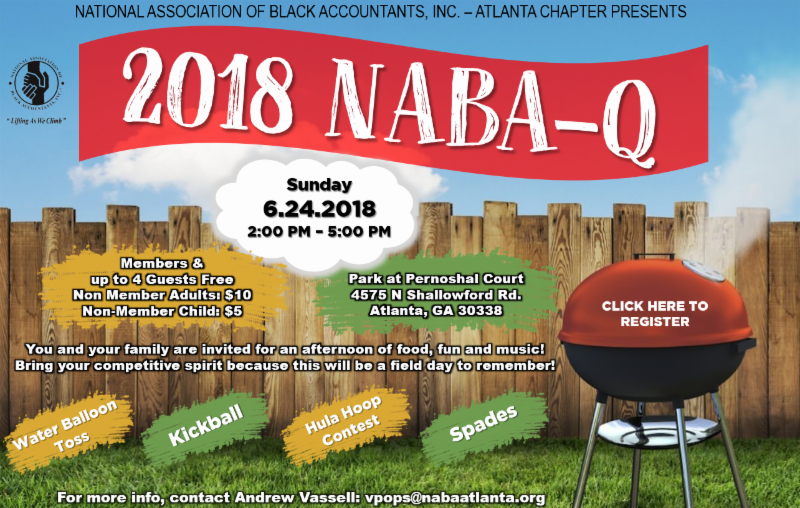 You and your family are invited to join the NABA Atlanta Chapter for an afternoon of food, fun, and music. Bring your competitive spirit because there will be field day events such as Water Balloon Toss, Kickball, and a Hula Hoop Contest! !